Enshin Itto-ryu Battojutsu is the traditional sword art of the Aizu samurai clan. The art is focused on drawing and cutting with the samurai sword. First Three Saturdays each month. First Three Mondays each month. Must be least 16 or have several years of martial arts training. 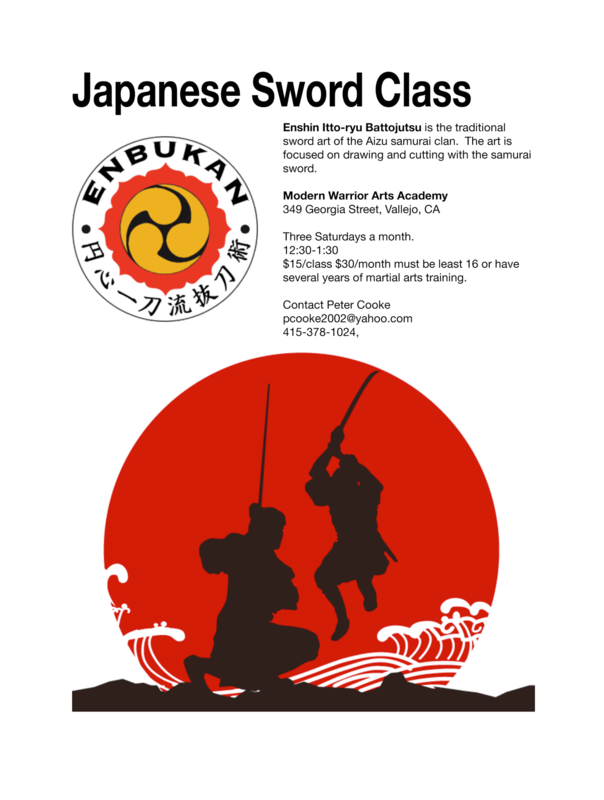 Come join us for this new Battojutsu – Japanese Sword Class! So, does this class only teach kata or will some randori be involved? By the way, is Battojutsu the same as kendo?